Limited sizes and quantities remaining! 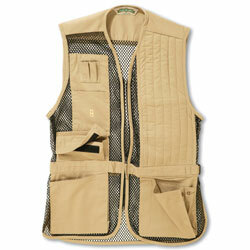 Full mesh clay target vest specifically sized for women shooters. Features padded gun pad, choke tube pocket, side tab adjustment for custom fit. Available in left handed or right handed.